Throughout my younger years being indoors never interested me, I’d find any excuse to be outside, especially playing sports. As the years went on my passion for fitness rapidly increased, which lead me into competing in various sports. Throughout my years, my competitive nature has driven me to achieve representative status through cricket, rugby league and rugby union. With my highest achievement representing NSW in cricket, this left me wanting more. It wasn’t long before I took up CrossFit which was much more physically demanding. I competed in CrossFit for two years before taking up boxing at a local gym and began incorporating that style of training as well. After competing for so long I wanted to give back which drove me to take the plunge and get my personal training qualifications to start helping others achieve their goals and dreams. I have been a qualified personal trainer for 5 years and in that time, I have been training corporate groups, one on one personal training and group fitness classes. 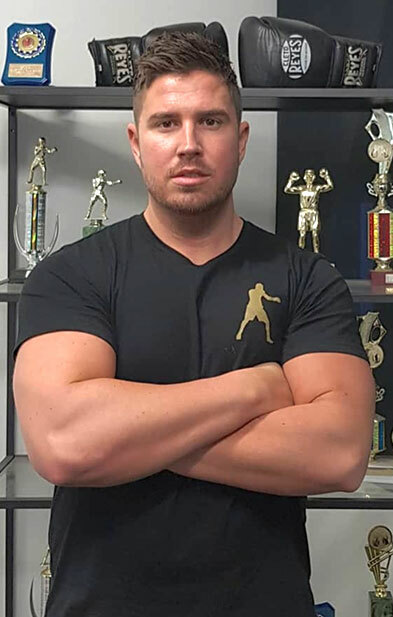 Working with various individuals with varying goals has benefited me in becoming a versatile trainer from sports specific, general fitness and wellbeing, to weight loss and development.